Receiving a book to review by Colonel David Vassallo L/RAMC is always a treat. He is meticulous with his research and provides the reader with in-depth subject matter that keeps you riveting through each page. Another joy is the plentiful photographs that accompany the text. Readers will also appreciate Who Was Sapper Brown? 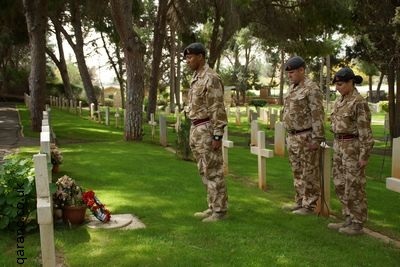 Remembering British Military Burials in Cyprus. It will be especially significant for readers of this site because of the two members of the Queen Alexandra's Royal Army Nursing Corps who are buried in Dhekelia Cemetery and features this moving photo of a parade at their graves on Corps Day 2012. Cpls Barnwell, Kelly and Taylor paying their respects. It covers why the British Army and Royal Navy was in Cyprus as early as the year 1878 and why so many service personnel died in the early years. Diseases such as malaria and typhoid were rife and sadly many died due to the warm weather clothing causing heatstroke in high temperatures and dysentery due to living conditions. Though Britain was no longer at war with Russia there was a need to protect the Empire and routes through the Suez Canal to far flung places like India, especially with the recent Russo-Turkish conflicts. Through painstaking research the author has located these early graves, burial details and even why several were reinterred. He has also located several graves of British soldiers not on UK databases or records. 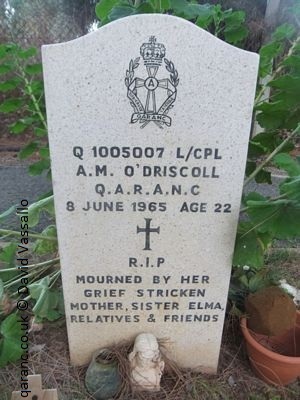 Many could so easily have been lost to time since the first British infantry unit on Cyprus, the 42nd Royal Highland Regiment, would, as was procedure then, bury their dead where they died with a simple wooden grave marker. Col Vassallo continues with detailed information about all the graveyards in Cyprus where our troops have been interred over the years. These include Wayne's Keep in the Buffer Zone in Nicosia, Troodos Military Cemetery, Polemidia British Cemetery in Limassol and Famagusta British Military and Civilian Cemetery. 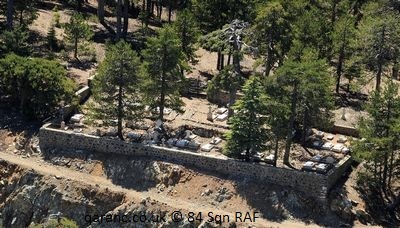 Troodos Cemetery aerial photo © 84 Sqn RAF. Each site has easy to follow descriptive directions to get there as well as street maps and handy hints to make visiting and paying respects trouble-free. There are photographs of each graveyard and individual headstones or memorials. The plans of each of the cemeteries further aid the reader on any intended trip. Other interesting illustrations include the National Archives list of persons buried and other records like historic pay lists and death records from Regimental Muster Books. Notable graves include Sergeant Samuel McGaw who was the only Victoria Cross recipient to die on the island. Here the author has included details of Sgt McGaw's brave service record, why he won the VC and pictures of it engraved on his sarcophagus in the old British Cemetery in Kyrenia. Other poignant graves are those of the Royal Army Medical Corps and its predecessor the Army Hospital Corps. As with each chapter the author described in detail the first burial and in the section it is Private Edward Capel of the recently formed RAMC who died of enteric fever at Camp Polymedia in Limassol in February 1899 whilst caring for soldiers. Another RAMC grave is that of Colonel David Wright DSO OBE who was the Commanding Officer of BMH Dhekelia who had seen service in Italy, Japan, Persia and Iraq and his service career and why he was awarded the Distinguished Service Order are included in this section. The new British Cyprus Memorial, dedicated to the 371 servicemen of the Royal Air Force, Royal Navy, Royal Marines and the British Army who lost their lives during active service during the 1955 to 1959 EOKA Campaign (Ethniki Organosis Kyprion Agoniston - Greek for National Organisation of Cypriot Fighters) and its recent unveiling on Remembrance Sunday 2009 is covered. This is at the easy to access Old British Cemetery in Kyrenia, though their remains are interred at the restricted area of Wayne's Keep in the United Nation's buffer zone. It is fitting that in the year of publication of Who Was Sapper Brown? that the author informs us of the many First World War burials in this Centenary year. These were from the 1st Garrison Battalion Royal Scots who were guarding Turkish prisoners of war from the Gallipoli Campaign. There was also a convalescent summer camp at Troodos for British front line troops from Gallipoli. It is thought they died from the influenza epidemic of 1918. 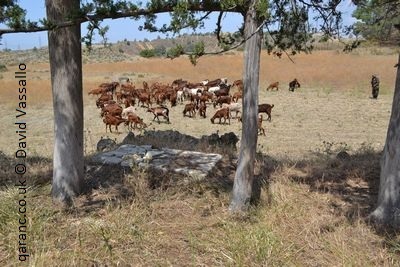 In contrast there is just one grave from World War Two at Troodos Cemetery, which was due to a motor accident. He died from his injuries two days later at 82 General Hospital, Platres. He is also the only RAF member to be interred at Troodos Military Cemetery. Most WW2 burials took place at the Nicosia War Cemetery which is now in the UN buffer zone. The soldiers of Cyprus are not forgotten either and sections describe and depict the resting places of members of the Cyprus Regiment and Cyprus Volunteers. Though most lie in peace in family plots or at their respective villages Col Vassallo features the Cyprus (Nicosia) Memorial which commemorates Greek and Turkish Cypriots who died between 1940 and 1947. Ironically the inscription for local doctor Captain Vas Michael Skoufarides RAMC shows bullet holes from fighting in 1974. Other memorials for the Second World War Cypriots who gave their lives whilst serving their country are included. Another bleak chapter in the history of the British Army in Cyprus was the Troodos forest fire on 17 June 1956 which saw 17 soldiers from the Royal Norfolk Regiment and the Gordon Highlanders die with two more deaths at the newly opened and temporarily RAF Akrotiri Hospital two days later. A moving photo of the Royal Norfolk Regiment presenting arms at their burial is pictured. 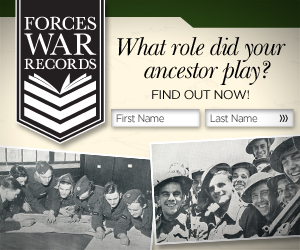 So who was Sapper Brown? This Royal Engineer grave from the forgotten Mathiatis Cemetery was the inspiration for Colonel Vassallo's touching book. He died in 1879 and was re-interned at Wayne's Keep in Nicosia, next to Mrs Catherine Cutliffe, wife of a Royal Artillery Sergeant, who was killed by an EOKA gunman whilst shopping for a wedding dress for her daughter in October 1958. 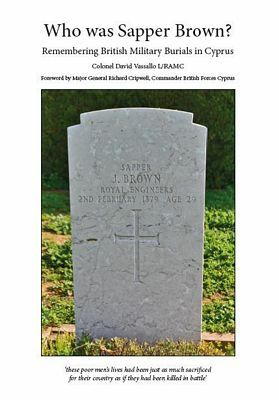 This poignant book provides a lasting tribute to our fallen and provides easy access to much information for those with an interest in military graves or the British military history on the beautiful island of Cyprus. Profits from the book sale go towards the maintenance of the cemeteries where British and Commonwealth sailors, soldiers and air force personnel, of all faiths and none, are buried or commemorated in Cyprus. It is also available for 20 euros from The Hive, RAF Akrotiri, BFPO 57 or The Hives at Episkopi and Dhekelia.